Heather, 32, is recently in the dating scene again, complained of her YELLOW TEETH and that when she smiles, you CANNOT SEE her upper teeth. We did ZOOM! 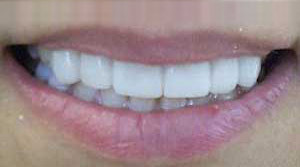 WHITENING and 8 PORCELAIN VENEERS. Now she is ready to take on the world with her new smile! 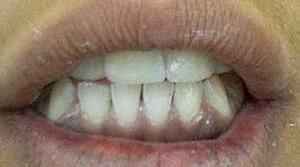 Amy, 27, a Philadelphia paralegal, had BONDING on front upper 6 teeth. We did ZOOM! 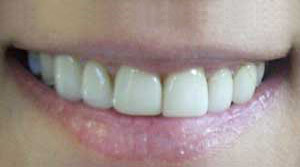 WHITENING and 6 upper PORCELAIN VENEERS. 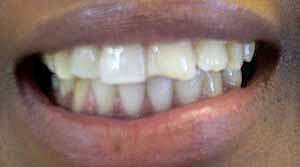 Dana, 35, and mother of 2 from Harrisburg, PA. She was dissatisfied with yellow, chipped teeth. She looked for a Pennsylvania dentist in her area before she found a dentist in Philadelphia whom she liked. 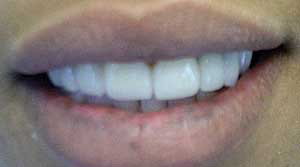 She can smile again after 8 upper PORCELAIN VENEERS and ZOOM! WHITENING. 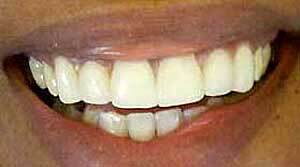 After seeing her results, she said that she is glad that she found a dentist in Philadelphia that she can trust.